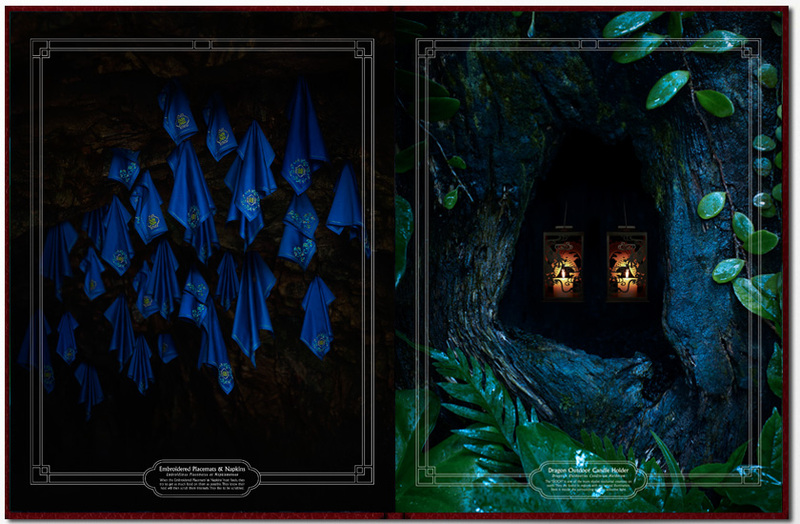 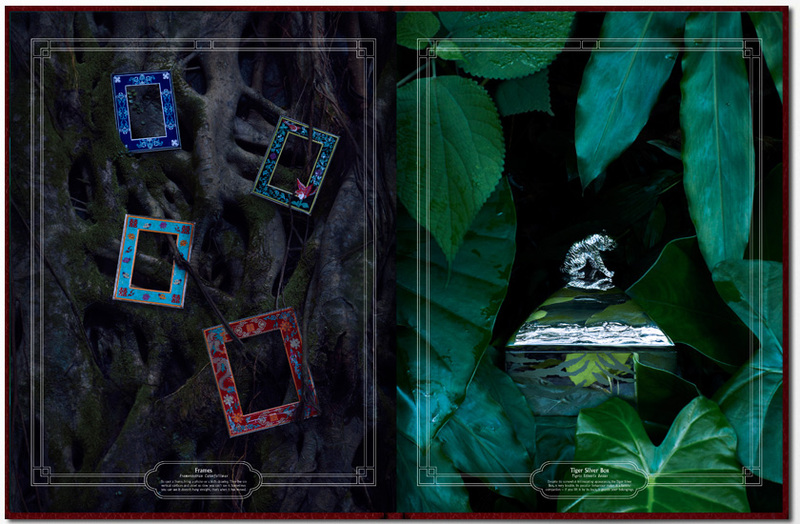 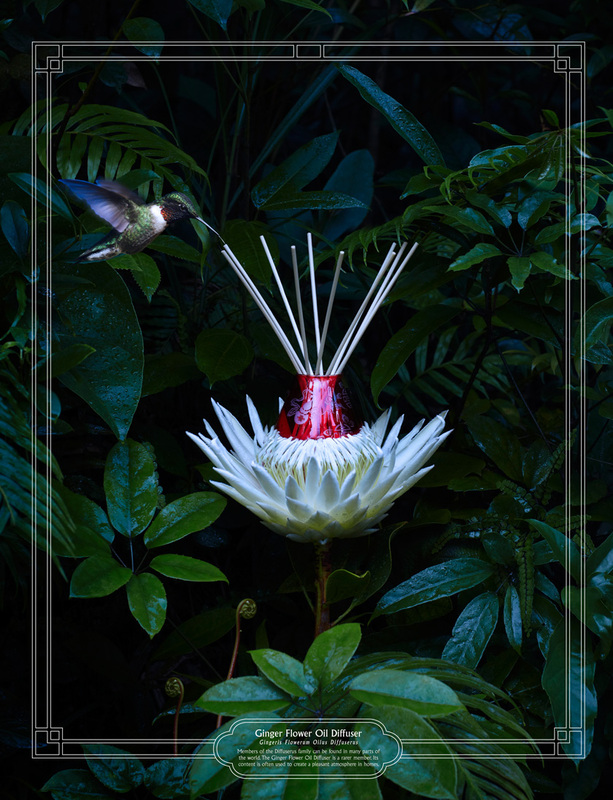 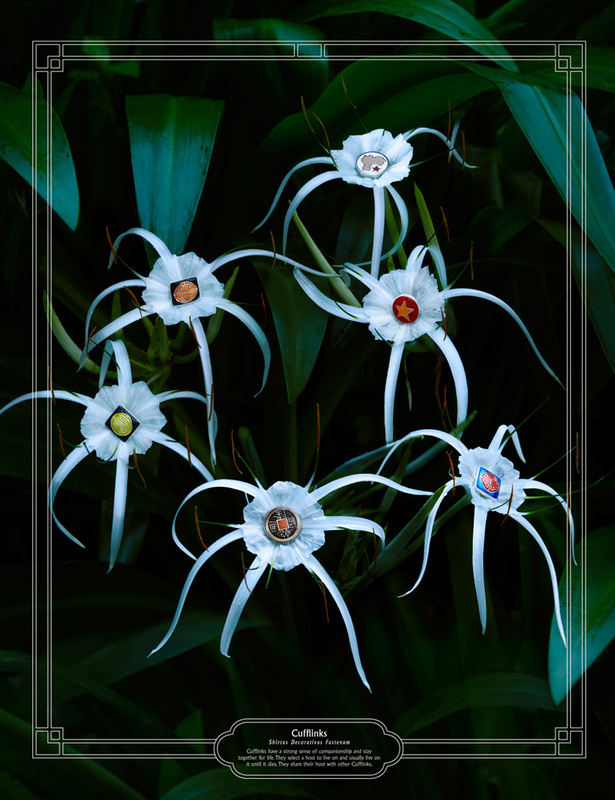 an ad campaign and catalogue for shanghai tang 2010/2011 collection, the fauna and flora of gift showcases the power and impact of rich imagery at its best. 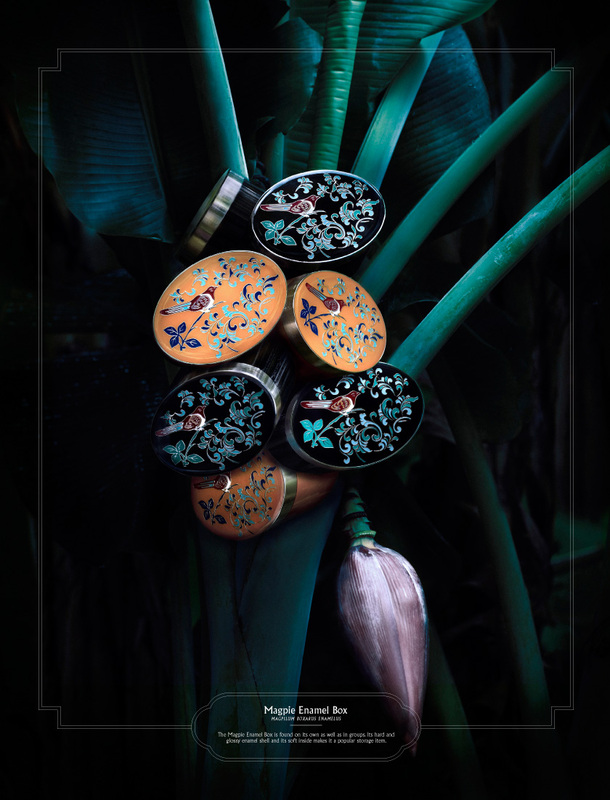 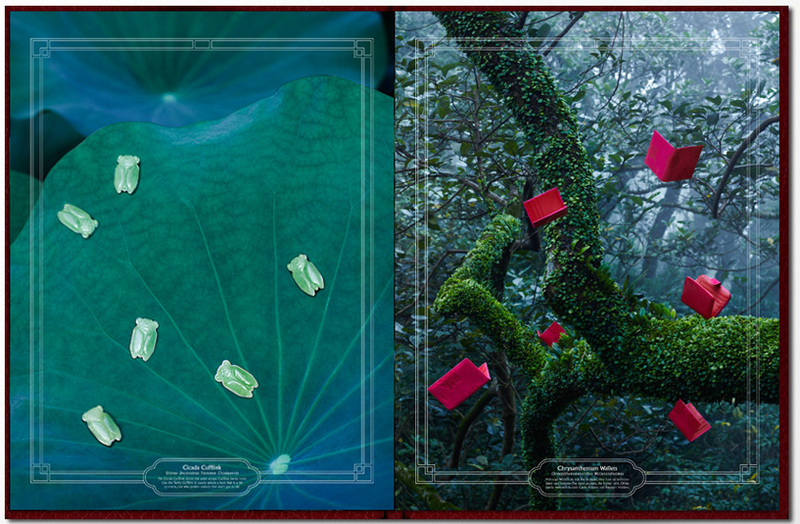 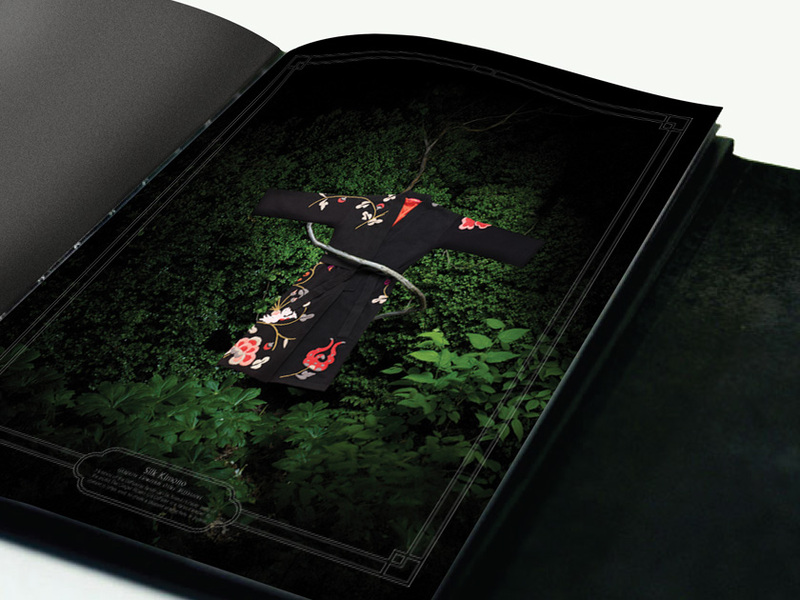 the hardcover catalogue is designed as a coffee book displaying a camouflage of jewelry against the biological diversity in chinese woodlands. 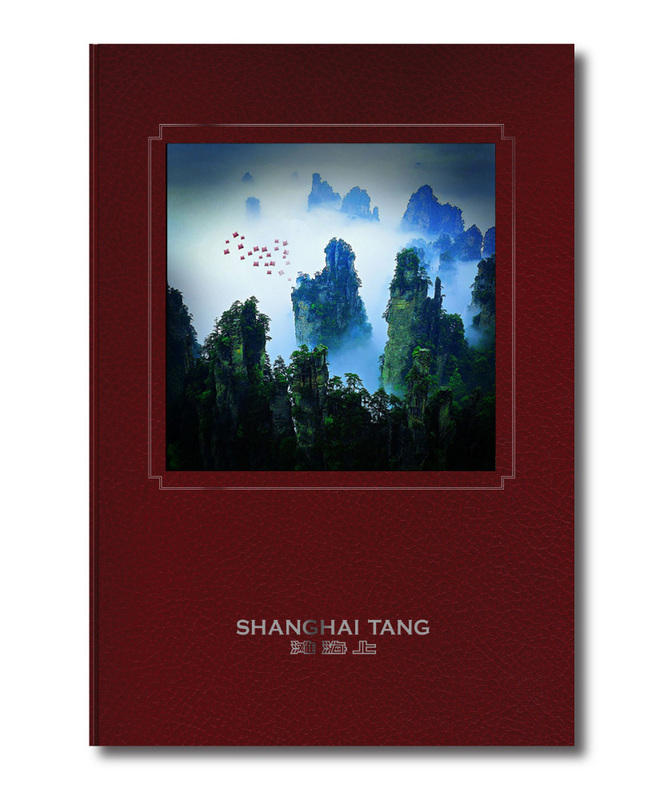 an exotic kingdom of plants were photographed to portray the marriage of asian greenery and the finest accessories of shanghai tang’s heritage.